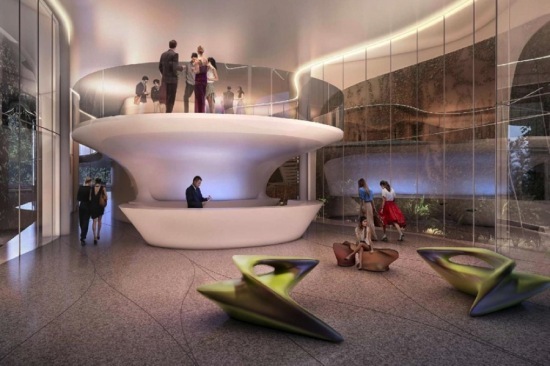 Zaha Hadid will lend her futuristic style to the strip along the Copacabana Beach in Rio de Janeiro, with an 11-story luxury condo building, dubbed Casa Atlântica—the first project in Brazil for the London-based architect. 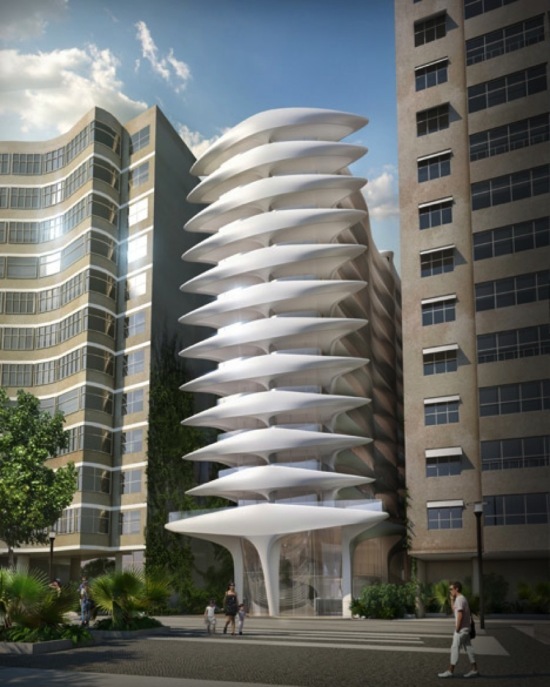 Newly released renderings show a soaring, spine-shaped facade reaching up to roughly 136 feet, abutting two other high-rises. The building will consist of 30 apartment units, each including 6-star hotel services, in addition to a spa, cinema, and rooftop pool with views of the beach and of the iconic Burle Max–designed promenade. 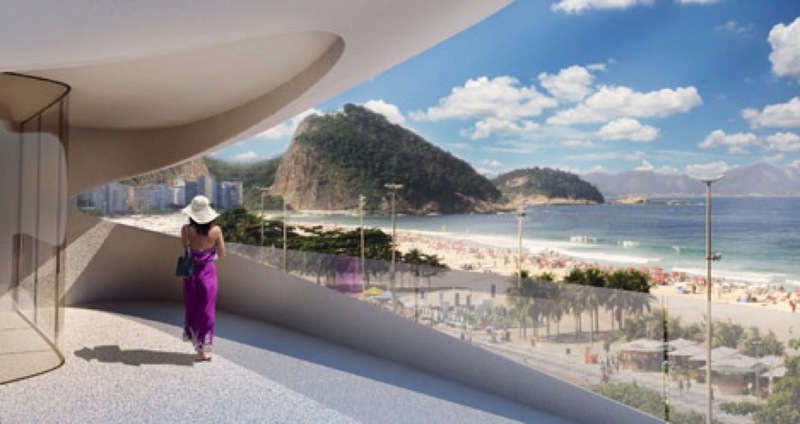 The project, commissioned by Brazilian businessman Omar Peres, is only steps away from other high profile projects, such as Diller Scofidio + Renfro’s Museum of Image and Sound. 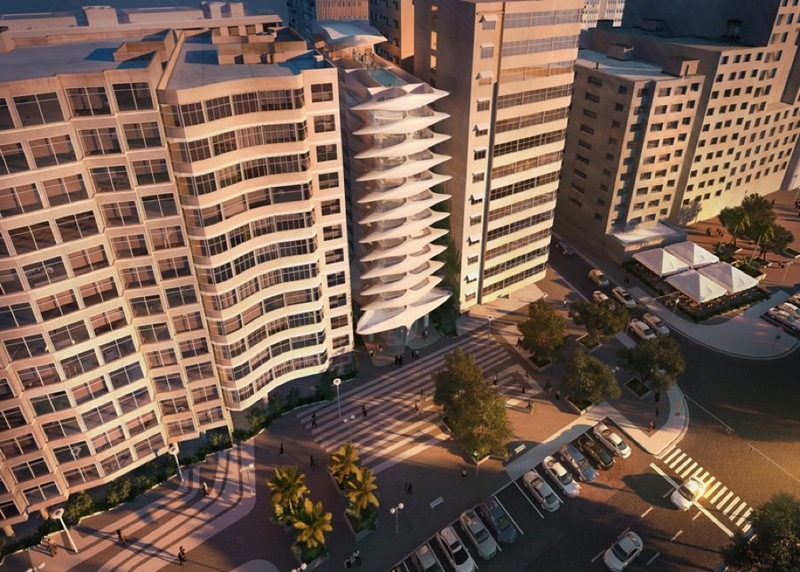 Construction is slated for the spring of 2015.